ADMISSION CONSULTANT IN MUZAFFARPUR, WISDOM VISION PVT. LTD.
We at wisdom vision take responsibility of your career guidance, Admission in reputed institution to glorify your educational faculty, arrange training, ensures placement in descent jobs in Private and corporate sectors. WVPL helps you with the objective of disseminating proper information about your career prospect right from school dropouts to post graduates in various fields of technical and non � technical faculties. We take rare initiative and exercises great care and caution while make right choice with regard to pursuing education in institutions of Indian universities and Abroad. WVPL provides you complete service in career counseling and admission guidance in following fields:- Engineering	B.Tech and Diploma (all disciplines) Medical	MBBS, MD,MS, BDS, BHMS,BUMS and BAMS. Management	MBA, MCA, BBA, BCA, Hotel Management, and Fashion Tech. etc. Paramedical	B. Pharma and M. Pharma Education	Teacher Training, B. Ed., M. Ed. Media and information	Mass Communication Law	LLB 3 years, 5year, LLM ,etc. SERVICES Contact For Free Counseling. Meet For Experts Suggestion Guidelines and Conformed Admission	Admission Guidence Through AIEEE Rank	Contact For Admission Without Donation	More Than Thousand Colleges For a Students of Engineering /Medical /Management . The tragedy is that marks remain the ultimate criteria for accessing students. We keep in mind how to create access for aspiring students. 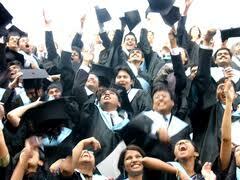 We ensure admission to these students in reputed college under recognized universities across India and Abroad.